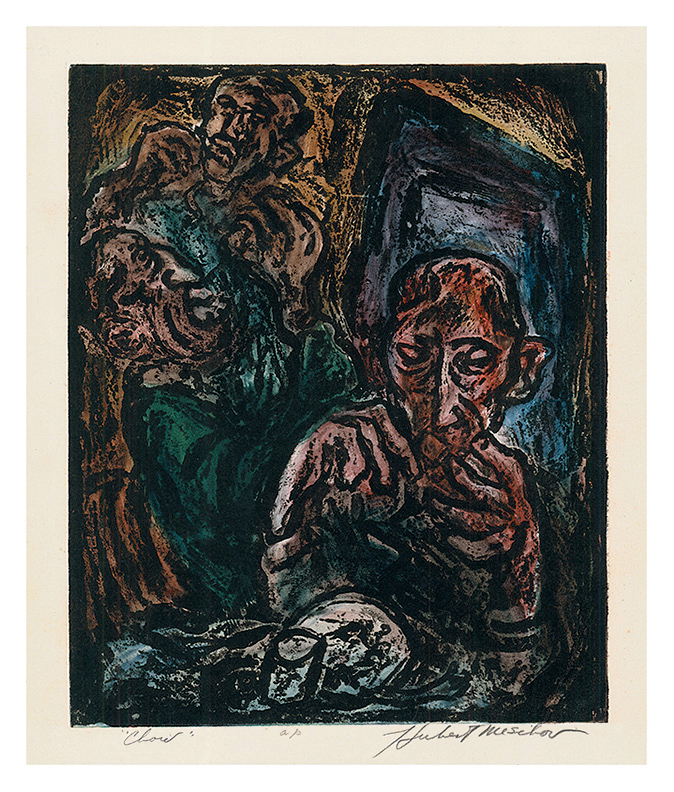 Chow- - 1937/38, Color Carborundum Intaglio. Edition 25. Signed and titled in pencil, in the artist’s hand. Annotated ap and COLOR CORBORUNDUM PRINT PROCESS INVENTED BY THIS ARTIST WORKING ON PHILADELPHIA WPA ART PROJECT 1938 in the bottom margin. Image size 9 13/16 x 7 7/8 inches (249 x 200 mm); sheet size 13 5/8 x 9 3/4 inches (346 x 248 mm). A fine impression, with fresh colors, on cream wove paper, with full margins (3/4 to 1 7/8 inches); in excellent condition. Created for the Philadelphia WPA. 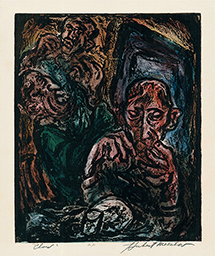 The color carborundum printmaking process was co-invented by Hubert Mesibov and Dox Thrash. 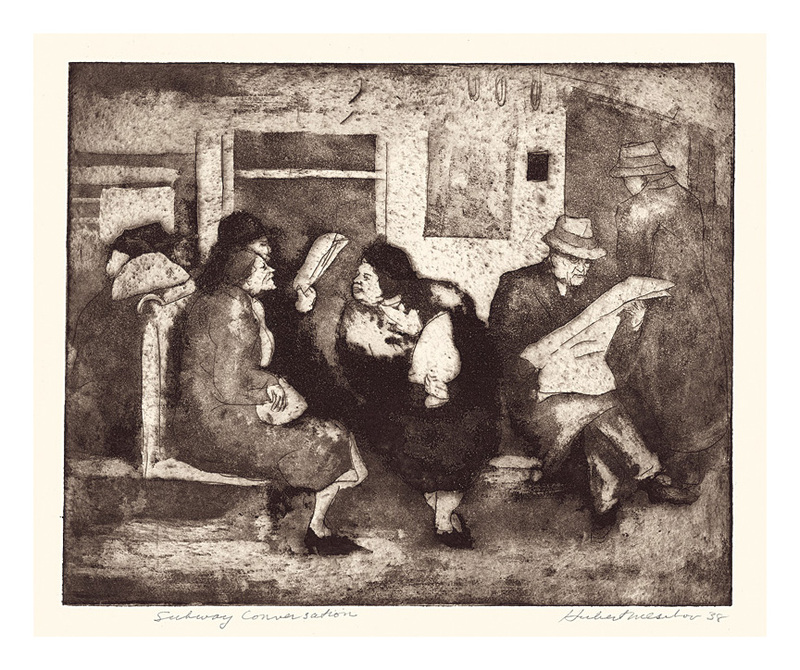 Subway Conversation - - 1938, Etching and Aquatint. Edition 5. 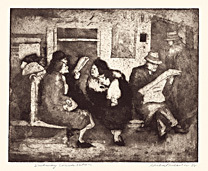 Signed, titled, dated and annotated Etching Aquatint in pencil, in the artist’s hand. Annotated FIVE PRINTS MADE and PLATE MADE IN 1938 AND NOT PRINTED UNTIL 1988 in the bottom margin.. Image size 8 x 9 15/16 inches (203 x 252 mm); sheet size 10 x 14 inches (254 x 356 mm). A superb, richly inked impression, in dark brown ink, on cream wove paper, with full margins (3/4 to 2 1/8 inches); in excellent condition. 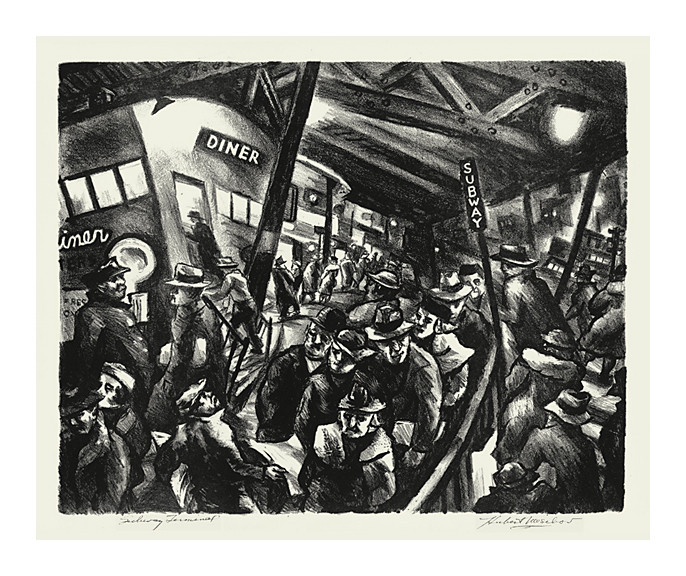 Subway Terminal- - 1938, Lithograph. Edition c. 25. Signed and titled in pencil. Annotated First Printing in the artist's hand, bottom sheet edge. Image size 11 x 13 7/8 inches (279 x 352 mm); sheet size 14 1/8 x 18 1/8 inches (359 x 460 mm). A fine, rich impression, on cream wove paper, with full margins (1 1/2 to 2 1/2 inches), in excellent condition. Scarce. 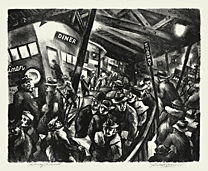 Created for the Philadelphia WPA. Illustrated in L’Amérique de la Dépression: Artistes Engagés des Années 30, Musée-Gallerie de la Seita, Paris, 1996. Collection: Baltimore Museum of Art.